Real estate, whether it is your primary residence or an investment property, is one of the largest and most important investments you will make. Many things effect the value of real estate! That is why when you are buying or selling any real estate property, you should work with a professional who you have confidence and trust in. 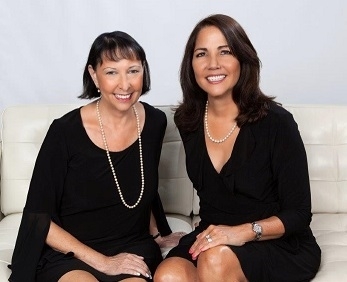 Both Stefanie and Norma have been selling Real Estate in Florida for many years. Their combined experience of over 25 years, and unlimited expertise, give you an immediate advantage in today’s marketplace. No matter what type of market we are currently experiencing, both Stefanie and Norma know how best to achieve positive and successful results. It is also very important to put your property in the hands of a reputable and established company. Berkshire Hathaway HomeServices Florida Realty, puts the brand of Berkshire Hathaway behind you. You can count on a strong and well respected company to be there for you, and handle your property as you know it should be. That is what we stand for and what you as the consumer can count on! Call us today, and see how we can work together to achieve successful results with your next Real Estate transaction! One story home in beautiful Estancia! Well maintained and lovingly cared for! NEW ROOF in 2016 NEW A/C in 2011*Mexican tile floors*beautifully updated 2nd bath with a pebble shower! Automated Silhouette shades in family and living rm, new silhouette shades throughout! Automated block-out shades in master BR and bath. Knockdown ceilings. Nest thermostat and Ring doorbell. Private, fenced backyard with both back and side patios w/landscape lighting provide the perfect setting for enjoying the Florida lifestyle! Low maintenance fees wonderful amenities in this highly desirable Estancia Community! Maintenance includes-manned guardhouse, community maintained sprinkler system, clubhouse, gym, and community pool. This rarely available one story home in Estancia is what you have been looking for!